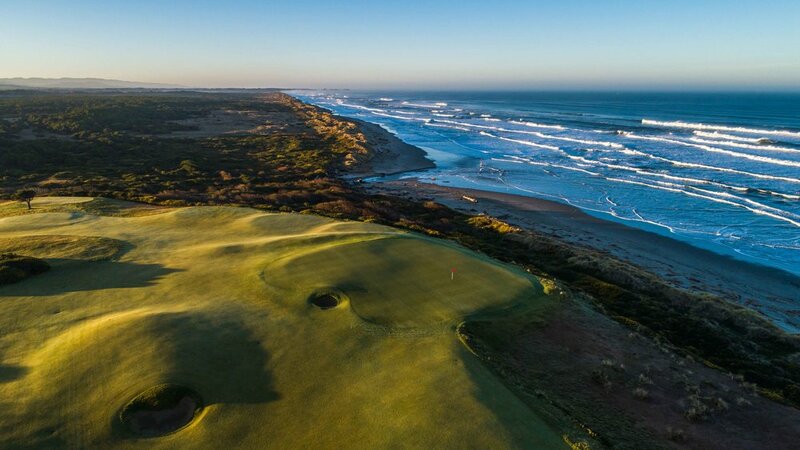 Bandon Dunes - Bandon, OR — PJKoenig Golf Photography PJKoenig Golf Photography - Golf Photos For Those Who Love The Game. 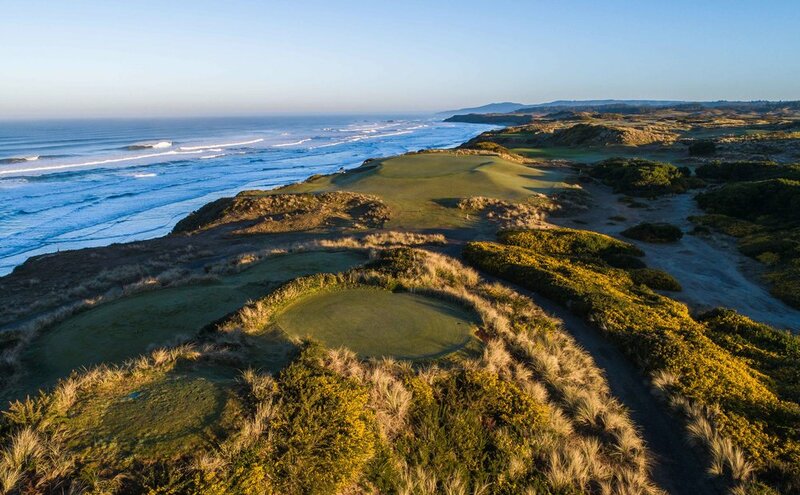 There was a moment when Mike Keiser stood upon a gorse filled property along the coast of Oregon and he realized that this was the site where he was going to bring the links of the British Isles to America. 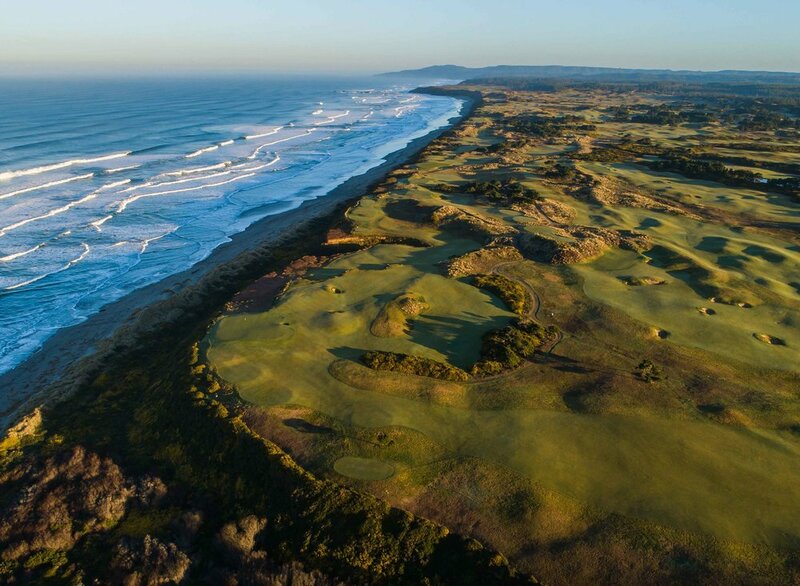 Numerous golf experts told Mike that he was crazy to build a course in such a remote location. 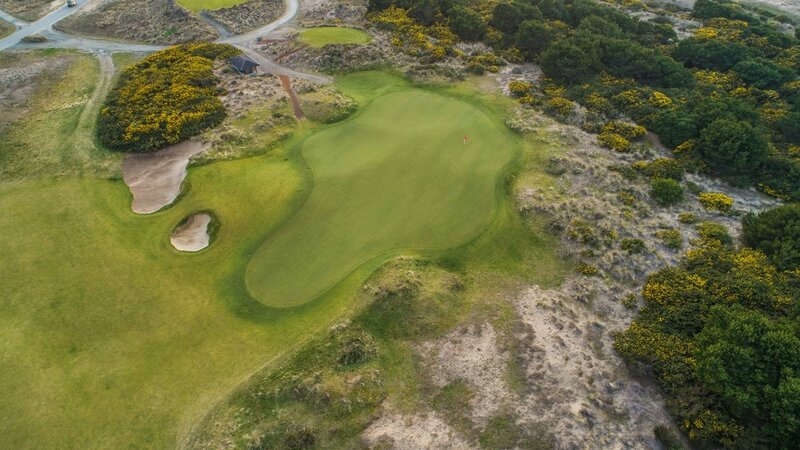 However, Mr Keiser decided to take the calculated risk and build something great. He succeeded. 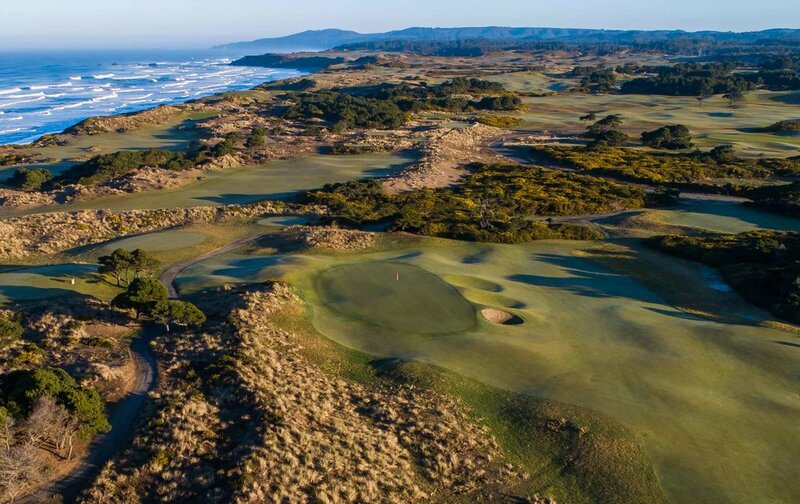 Bandon Dunes has become one of the most sought after golf destinations of it's time. 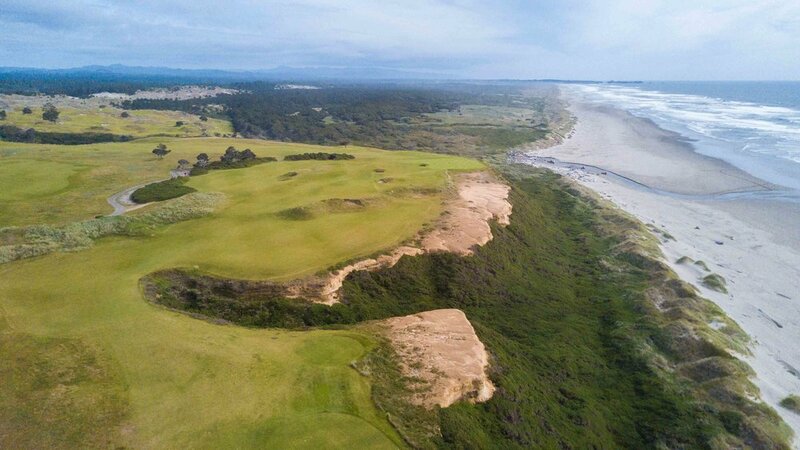 From the pro shop staff to the resort's "Bunker Bar" everything about Bandon Dunes is all about the golf. 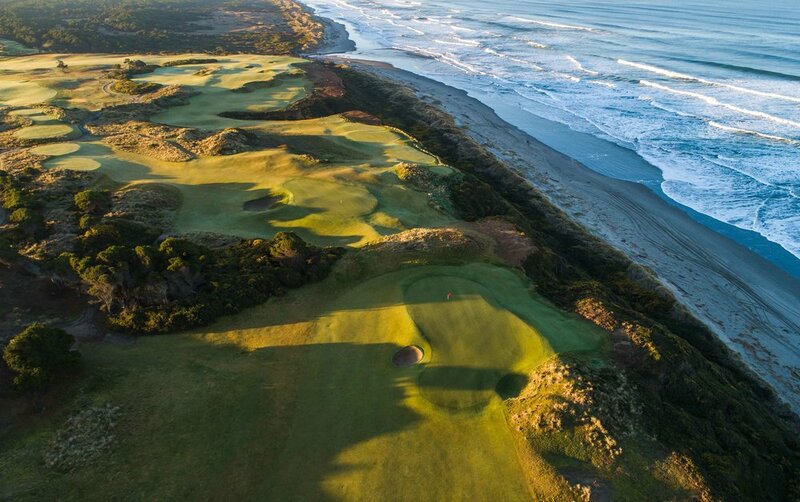 The full story can be read in the fantastic book Dream Golf by Stephen Goodwin. 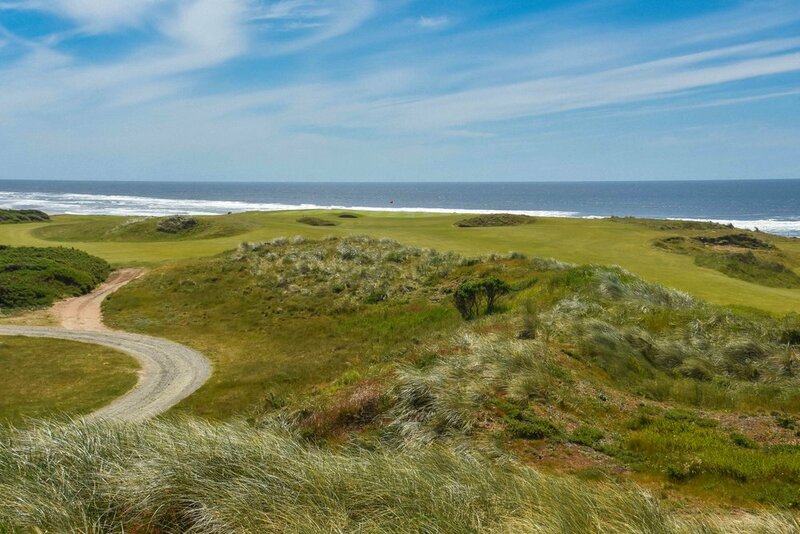 Bandon Dunes was the 1st of the 5 courses to be built on the property. 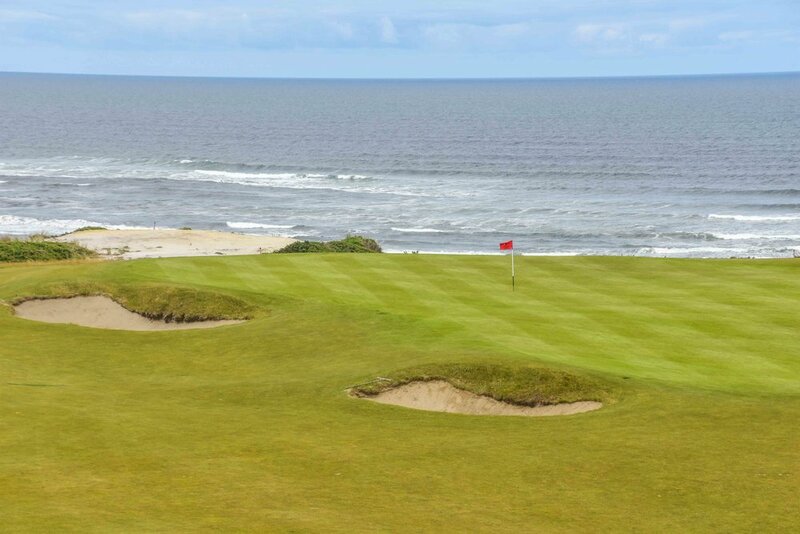 It was designed by Scotland's own David McLay Kidd and the course opened to the public in 1999 to rave reviews. 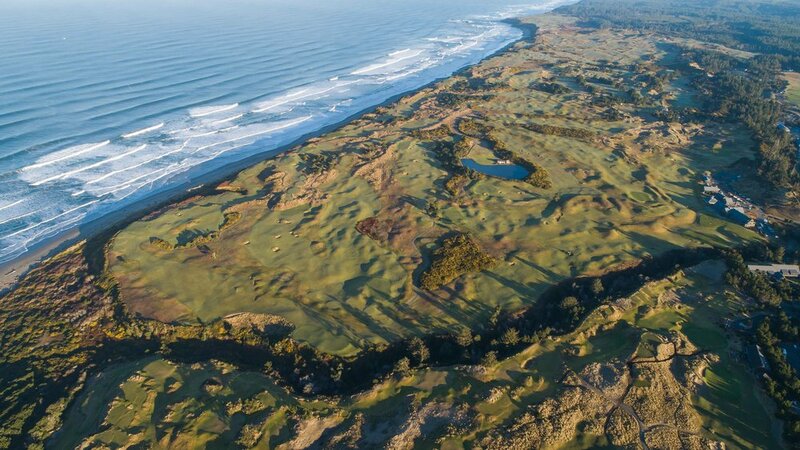 The course is perched on a bluff above the Pacific Ocean and rolls through beautiful and native dunes. 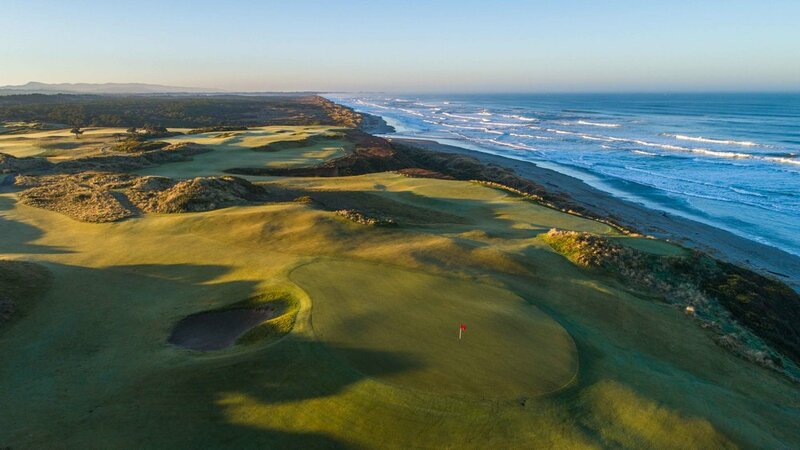 The ever present winds add a unique dynamic to the course, allowing it to be played in many different ways. 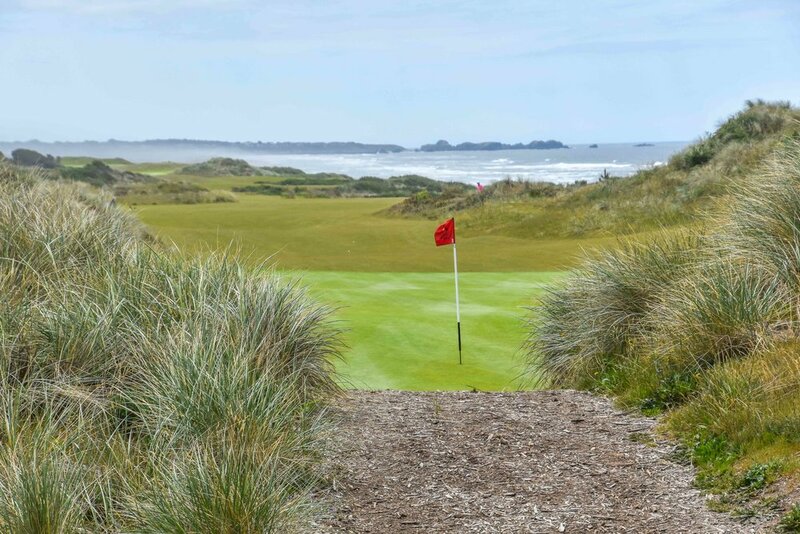 With forgiving landing areas off of the tee, Bandon Dunes is probably the most score friendly course at the resort. 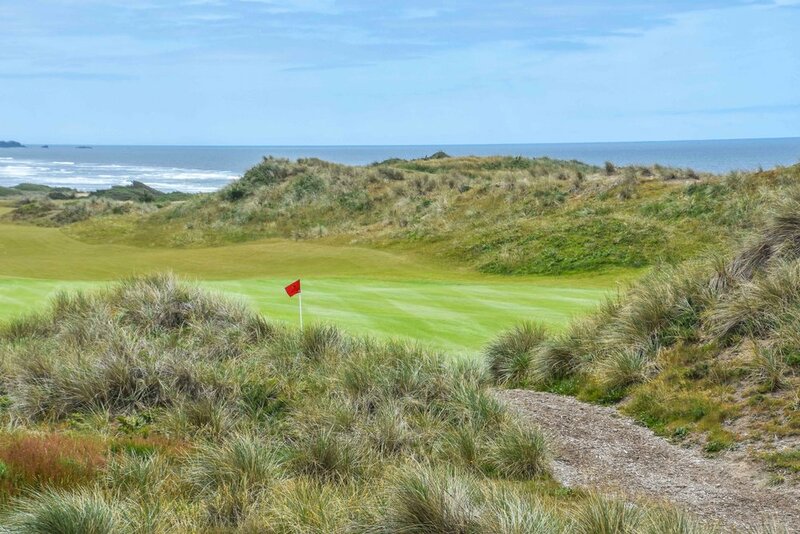 When given the opportunity to play only one course twice during our visit, our group selected Bandon Dunes. 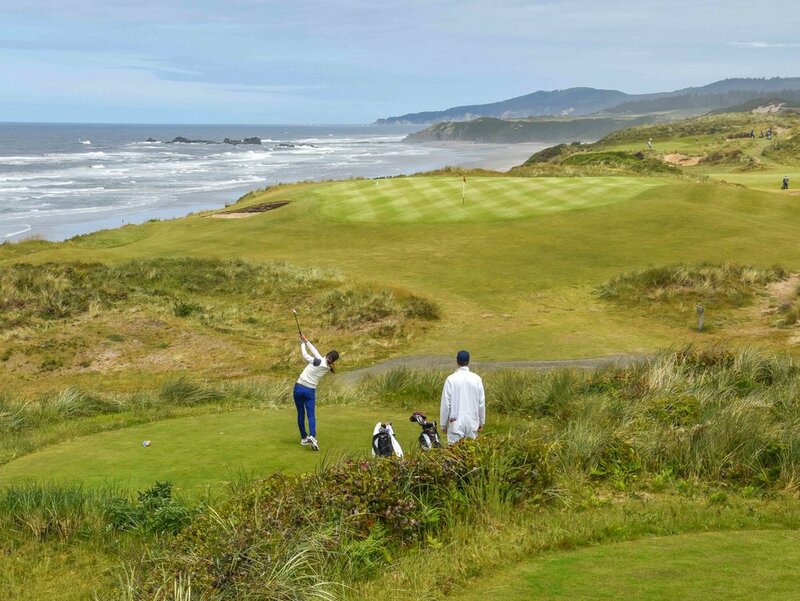 This is perhaps the most fun you will have playing golf in 40 MPH winds and sideways rain. 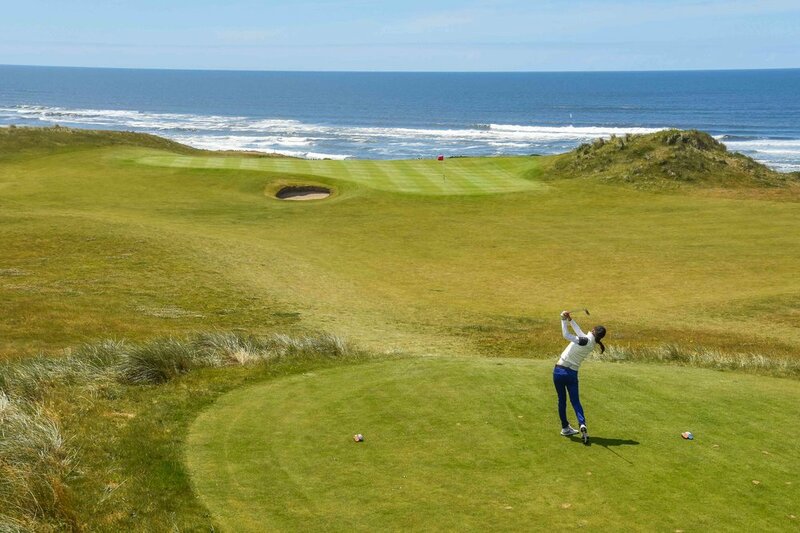 BANDON DUNES!!!! !